I have received a couple private messages asking me about this brush and I would like to answer publicly. With Phil and Bruno (and Mr Gomes , of course) we have been involved on this project and I couldn’t be happier with the results , both with the two band badger hair brush and with this boar brush. -Does this brush has the same boar hair than the SOC ? No , not even close ! This is the best boar brush hair I have tried , not only from Semogue but from any other boar brush maker. Unfortunately , Mr Gomes doesn’t receive enough quantity of this hair to add it on a regular brush edition (like the SOC). -How long does it take to break in ? Actually very quick , quicker than the SOC and around the same time than the 1305 or 830 brushes. Just follow the trick of leaving in soaking on lukewarm water for 2 days and start using it.Youll experience a great brush right away. -Is this brush a lather hog like the SOC ? Since it doesn’t uses the same bot bristles than the SOC , is a totally different brush. No , is not a lather hog and would release lather with no problem. 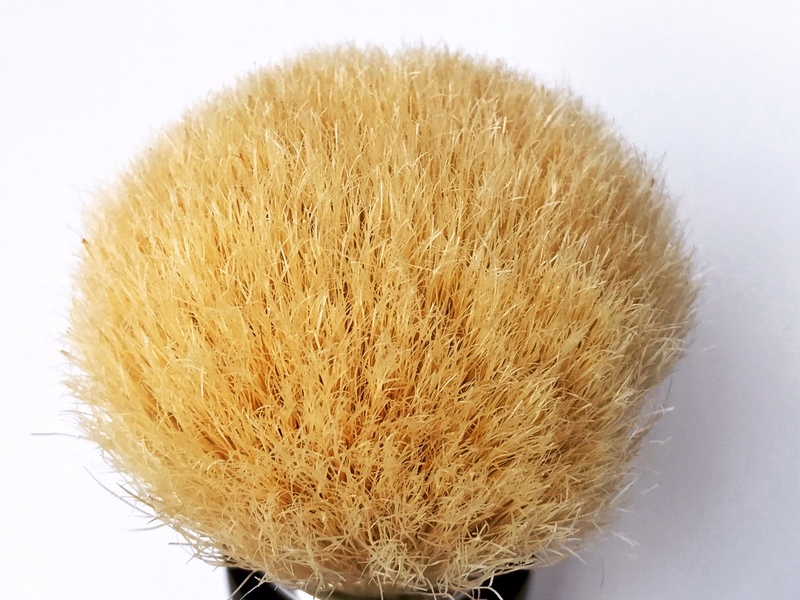 But due to its hair density , this brush would eat your shaving soaps.However , the lather won’t disappear inside of the knot , like sometimes happens with the SOC. -Are its tips as soft as the SOC ? Yes ! While the type of boar hair is not the same , this is the only similitude with both type of hairs.The tips are extra soft and velvety feeling. -Does this brush blooms like a SOC ? -Does it performs better with hard soaps or creams ? I play with advantage here since I have tried several protos with the same kind of hair. Performs well with both and this is not a “cream brush” or a “soap brush”.This is truly an all around brush for face or bowl lathering , with creams , croaps or soaps. I can only thank Mr Gomes for all the effort he puts into creating superb shaving brushes and this is not an exception.Obrigado Senhor Gomes ! Semogue has been my favorite boar brush maker for some time. This limited edition brush is so comfortable to use I purchased a second one. Just a fabulous and classy piece. That was a very useful review Teiste. Thank you Teiste. I am really pleased with how these brushes turned out. Teiste never disappoints. Nice review my friend. I know I love mine. Finest boar that I've ever owned, and I've owned many over the years. Not a boar user myself although I tried about a dozen over the years. I have to admit this one is going nowhere. This is a beauty. I'm a bit color disabled and wonder is the handle black or more of a brownish color almost like a deep espresso blend of coffee? It's a faux tortoise if I'm not mistaken. Looks very nice when the morning sun shines on it in my den IMO. Nicest boar knot I've ever experienced by a long shot! Mine arrived today from Vintagescent, and it’s just a gorgeous piece of hardware! Too bad the badgers are all sold out. Would’ve loved to have em both. -Is this the best boar brush that you have tried ? 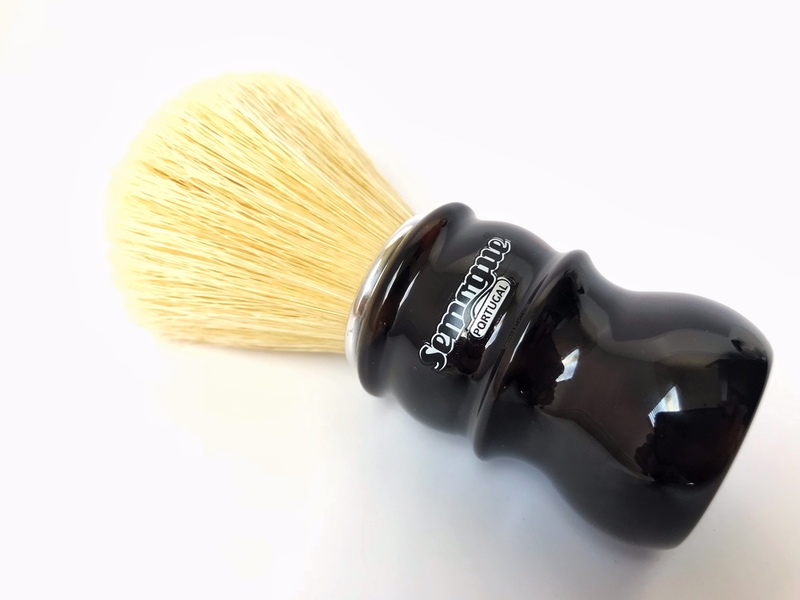 Well , is there such a thing as a "perfect brush".I doubt it , at least , for me.However , this one has the best boar hair I have tried so far and the handle is pure luxury.Its close to perfection for a boar brush. I am not a boar lover- obviously. I did try several boars over the years though - including the recent Thäter edition. 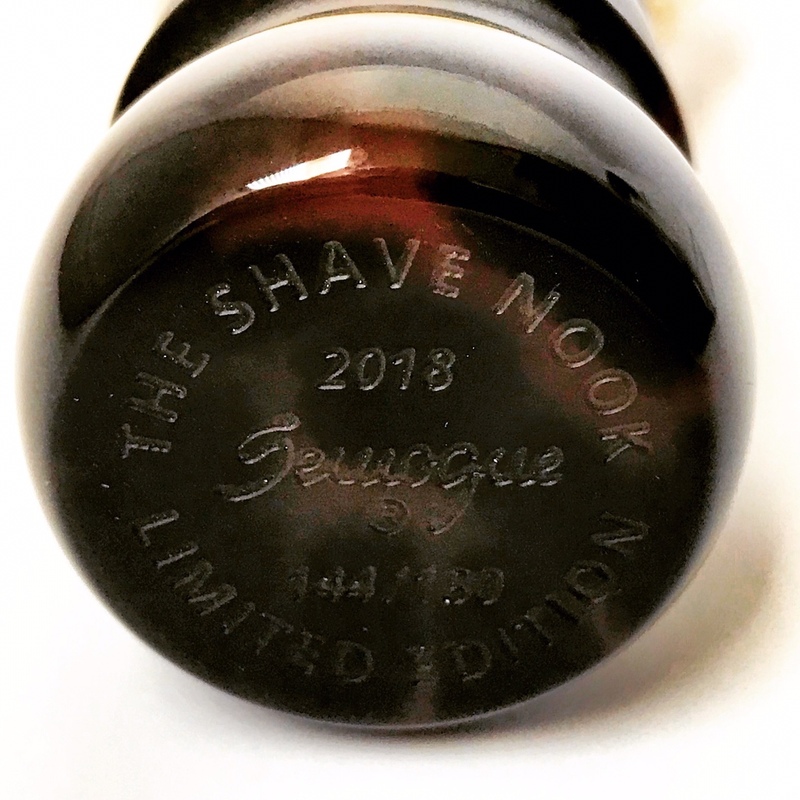 I sold all but one - the TSN 2018 Semogue boar. (10-03-2018, 06:08 PM)German Wrote: I am not a boar lover- obviously. Thats the best endorsement that this brush could ever have. This is the best boar brush I have ever used. I also own the Thater boar and I like this one more. I use it mostly for bowl-lathering and it works just fine. This is my favorite brush right now. I almost gave up on boar brushes. This one just blew me away. I also think it's the most beautiful brush I've ever seen. Worth every penny. (10-03-2018, 08:31 PM)shave/brush Wrote: This is the best boar brush I have ever used. I also own the Thater boar and I like this one more. I use it mostly for bowl-lathering and it works just fine. This is my favorite brush right now. I almost gave up on boar brushes. This one just blew me away. I also think it's the most beautiful brush I've ever seen. Worth every penny. I have been following your remarks in B&B and I do agree with you in all your statements.Its the best boar brush i have tried , and I have tried quite a few. 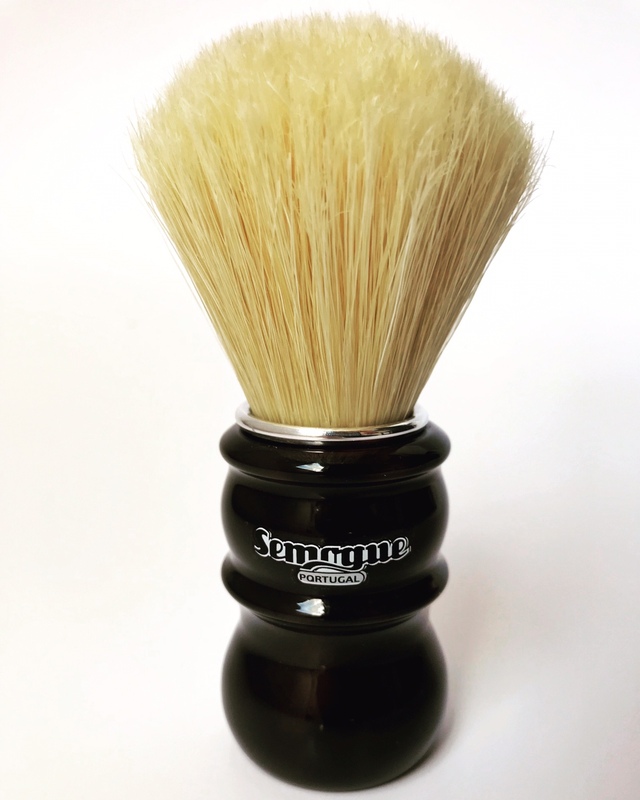 I helped to design the Semogue 2009 LE and the Semogue SOC and this is even better than those brushes. Thanks for your comments , sir. Nice review and thanks for the info. 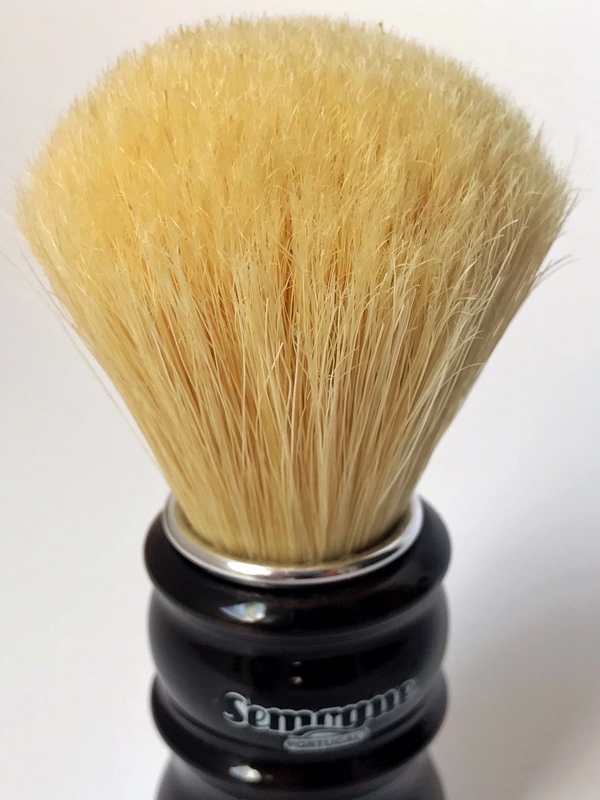 I ordered the badger version of this brush and was not sure whether or not to order the boar version. I did and am happy I did. It is a wonderful brush, as you said, with all soaps and creams. 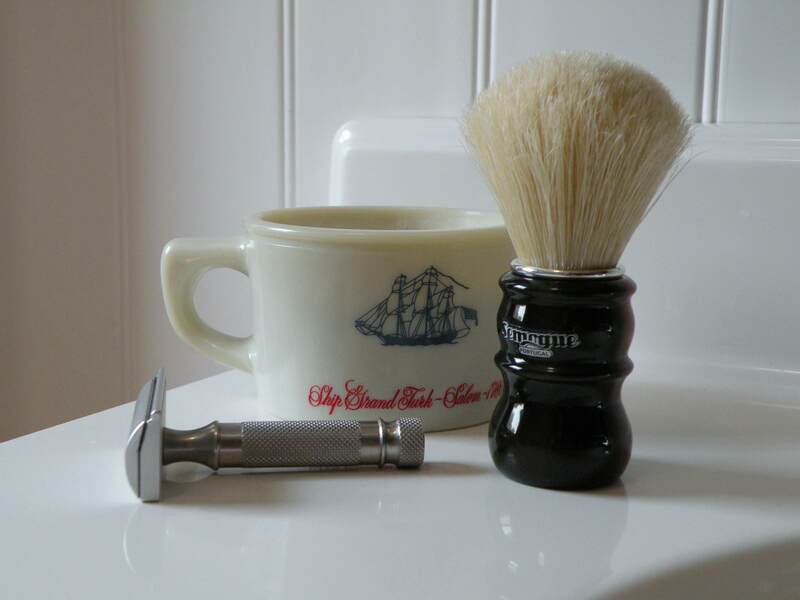 It never ceases to amaze me the quality of the brushes Mr. Gomes provides our shaving community. I have high hopes for this brush knowing the quality of manufacturer. My day of days. My brush arrived as I write! lucky number 7/180. In the games of darts 180 is the highest number able to be made in one throw. Perfect. The handle is like a deep mahogany begging for light to reveal it's light colors within. Teiste, you have helped design a very nice brush and now I test it next to my Thater premium boar. I have to give the edge to the Semogue as I'm partial to a smaller knot. I have found the 24mm my favorite so let's see which ends up being my "go to" in a couple months. As an added bit of bling with this brush Semogue has included two decals to replace the original if it would ever wear off. A nice touch! (10-04-2018, 02:52 PM)Teiste Wrote: It's the best boar brush i have tried , and I have tried quite a few.